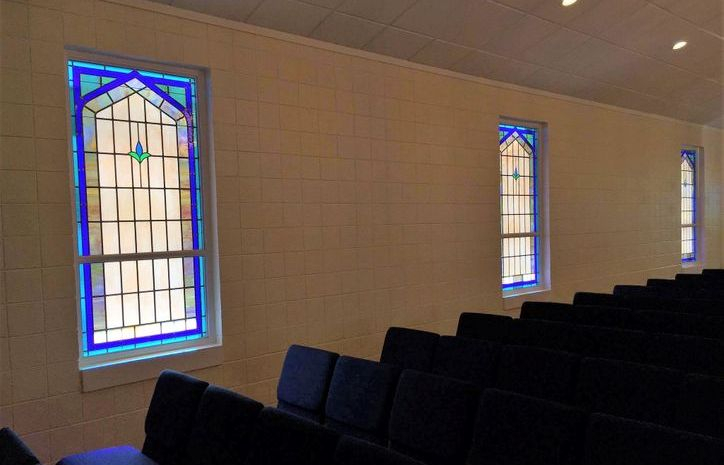 In 2017, Laws Stained Glass Studios installed (9) opalescent glass windows at The ConneXion Church in Savannah, GA. 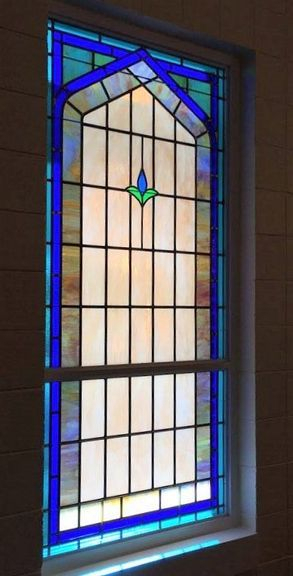 The windows (size 40" wide x 82" high) did not have artwork or a memorial plate, but a decorative leaf design in the center. Laws began the installation by removing the existing Krinkle glass (a thin fiber glass) and the existing aluminum frame. 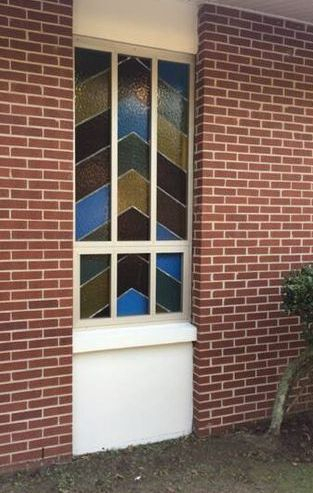 New white aluminum frames were installed into the masonry opening. 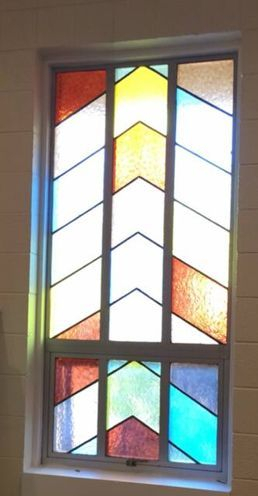 On the interior of the frame, the leaded glass window was set. 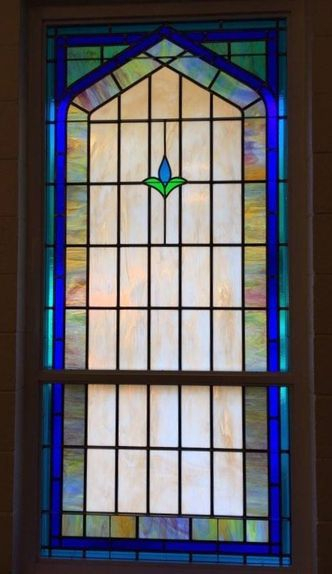 On the exterior, 1/4" Lucite acrylic was placed as the protective covering. 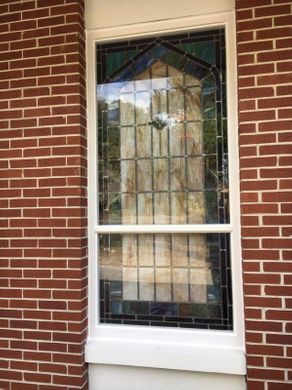 View of the existing "Krinkle glass" window from the outside before the installation.